The Bed and Biscuit Inn features spacious indoor/outdoor runs for our larger guests and families. Our small, cozy kennels are just right for little pups and older dogs. Little Dog Lodging – Prices vary by season. Deposit required to create reservation. Please call for details. Treats if allowed. Snack on ours, or provide treats from home. Frequent outside time! Our new Little Dog Room opens to its own play yard. 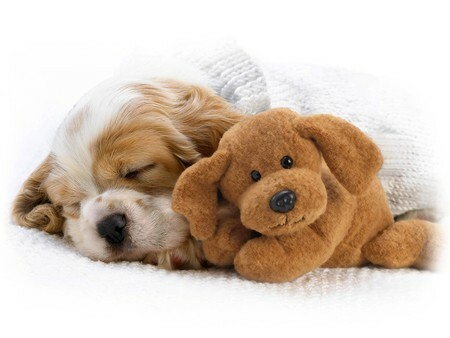 Dogs are taken out individually first thing in the morning, twice during the day, and one last time before bed. Add extra walks, daycare, and/or playtime for an additional fee. Private cages are perfect for nervous and older pets, as well as dogs that feel more comfortable in a smaller space. Climate controlled room for comfort no matter the season. Luxurious Private Rooms – prices vary by season. Deposit required to create reservation. Please call for details. Spacious kennels are just right for big dogs, energetic dogs, with room for the whole family! Each Room has an indoor area and an outdoor area separated by a sliding door. Interior floors are heated in the Fall/Winter to keep the chill away. The Private Room area is climate controlled for year round comfort. Each Room includes a heavy duty(chew resistant) sleeping platform. In addition, enjoy our bedding or provide your own. Don’t forget treat time! Enjoy ours or provide treats from home (as permitted). Clean, fresh water available at all times. Frequent outside time! 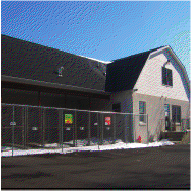 Our special indoor/outdoor runs allow your dog freedom to be in or out. During unpleasant weather access may be restricted. Families may share a Room, as long as everyone gets along! Meals are served twice daily at the Bed and Biscuit Inn, bright and early in the morning, and again in the late afternoon. To keep your dog happy and healthy, please provide your own food. Changing foods suddenly may cause upset tummies, refusal to eat, or other side effects, therefore The Bed and Biscuit Inn does not supply food at all. Clean metal bowls are provided at each meal. If your dog is afraid of metal dishes, please let us know. If possible, package individual meals in zip top bags. Pack a couple extra meals, just in case. Label bags with your pet’s name, and your last name. Small packages or containers are food are acceptable. No bags of food over 10 lbs! We simply don’t have room to store them. 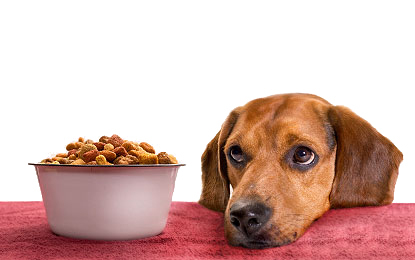 Please let us know if your pet has any food allergies, is on a diet, or may only have their own food/treats. We accommodate once a day feedings, please let us know AM or PM meals. In its own container (original packaging preferred). Clearly labeled with the name, strength and dosage of the medicine. Clearly labeled with the dog’s name, and your last name. Clearly labeled directions. How much and how often to give. Veterinarian who prescribed the medicine, in case of questions. The Bed and Biscuit Inn stocks Pill Pockets and peanut butter to give oral medications. Please let us know if there’s any “tricks” to getting your dog to take their medicine. If they prefer to have their meds hidden in cheese, for example, please provide their favorite cheese for their stay. We provide a variety of bedding at the Bed and Biscuit Inn, including thick, fleece mats, soft blankies, and chew resistant cots. If your pet is prone to chewing or ripping bedding, please let us know beforehand! You may bring bedding from home. Please understand that your pet may soil or dirty his bed, even if they are usually clean and tidy at home. We ask that any bedding brought be able to be washed and dried in a regular washing machine. All bedding is used at your own risk. If it’s dirty, we’ll need to clean it. If a bed is too large to fit in our washer, it will be sent home soiled. Please label any bedding with your pet’s name, and your last name to ensure it doesn’t get mixed in with our laundry or lost. Feel free to bring a few special items for your dog to enjoy during his stay. A favorite toy, some yummy treats, or an old t-shirt that smells like his favorite person are all things that can help your dog feel more comfortable while away from home. 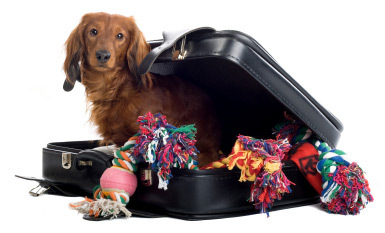 Please label toys and and clothing items, to ensure they return home with your pup! For safety, be sure toys are large enough not to become choking hazards. We don’t recommend leaving chews, as your dog may choke or gulp his chew. For your dogs safety, no rawhides. For the rambunctious dog, consider adding Doggie Daycare during their visit. New guests will need to be temperament tested prior to joining in the fun, please ask for more information. Extra walks can be added to any stay, just let us know how many. Your pet will enjoy an extra stroll in addition to regular outside time. Baths and Full Grooms. Schedule a spa day prior to departure and your dog will enjoy some extra pampering – and you’ll enjoy having a clean, sweet smelling pup to take home. Please note: during our peak seasons (holidays and all summer long) our grooming salon is very busy. It’s best to schedule grooming for your dog while making their boarding reservation to ensure an appointment. We may be unable to accommodate last minute requests for grooming. Thank you for your understanding!